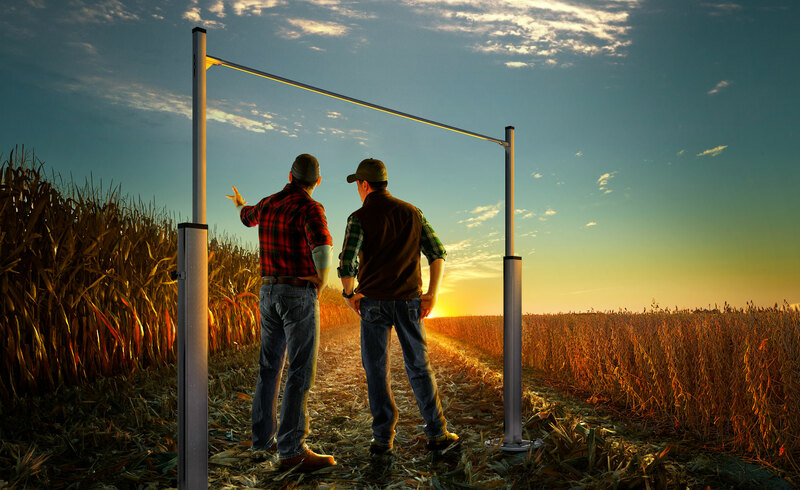 Corn and soybean farmers viewing their crop field at sunrise. Corn and soybean farmers viewing their crop field at sunrise, near Springfield Illinois. © 2017 Robert Randall Photography.